A thigh lift (thighplasty) is a procedure targeted at reshaping the inner and outer thighs, which may become large and unsightly due to weight changes, aging and hereditary factors. A thigh lift is often used to return the legs to their youthful slimness and tightness. Like the trunk, the thighs are relatively large compared to other parts of the human body. Many individuals experience discomfort and a lack of self-confidence as their thighs starts to grow larger and out of proportion. Fat collection can be caused by genetic and lifestyle choices, but a loss of elasticity in the skin makes it impossible to reverse this appearance through diet and exercise. A thigh lift works according to principles similar to other skin-tightening procedures. An incision is made in the skin of the thigh, the excess is pulled tight and removed, and the remaining skin is sewn back together and allowed to heal. Thighplasty is frequently included as part of an extended tummy tuck or in the regimen of plastic surgery procedures suggested after large weight loss. The exact placement of the incisions and the amount of skin will depend on the needs of the individual client, and will in turn influence the amount of scar tissue that results from the thigh lift treatment. Dr. Jaffer offers his years of experience working with Sugar Land and Houston area patients to help those who come to him make informed decisions about how extensive a surgery to seek. Dr. Jaffer applies his lifelong artistic passion and skill to help each patient visualize and achieve beautiful and natural-looking results – safely and effectively. Dr. Jaffer is a double board-certified Houston plastic surgeon, whose practice has grown through the amazing results he consistently brings forth. He is known as “The Artist in the O.R.” and one look at his Google reviews will confirm why patients love Dr. Jaffer and the rest of the staff at Azul Plastic Surgery. Dr. Jaffer listens carefully to every patient in order to achieve a look that is always natural, beautiful and ideal for each patient. You can also trust that Dr. Jaffer will provide honest, caring advice – your partner in getting the best results from your procedure and for life. If you’ve already started researching plastic surgeons, you owe it to yourself to schedule a free consultation with Dr. Jaffer. You’ll immediately feel comfortable discussing your procedure with him. Dr. Jaffer is highly respected by his patients and peers. This is the reason why other plastic surgeons refer some of their clients directly to Azul Plastic Surgery, and also why most of his patients come from referrals. 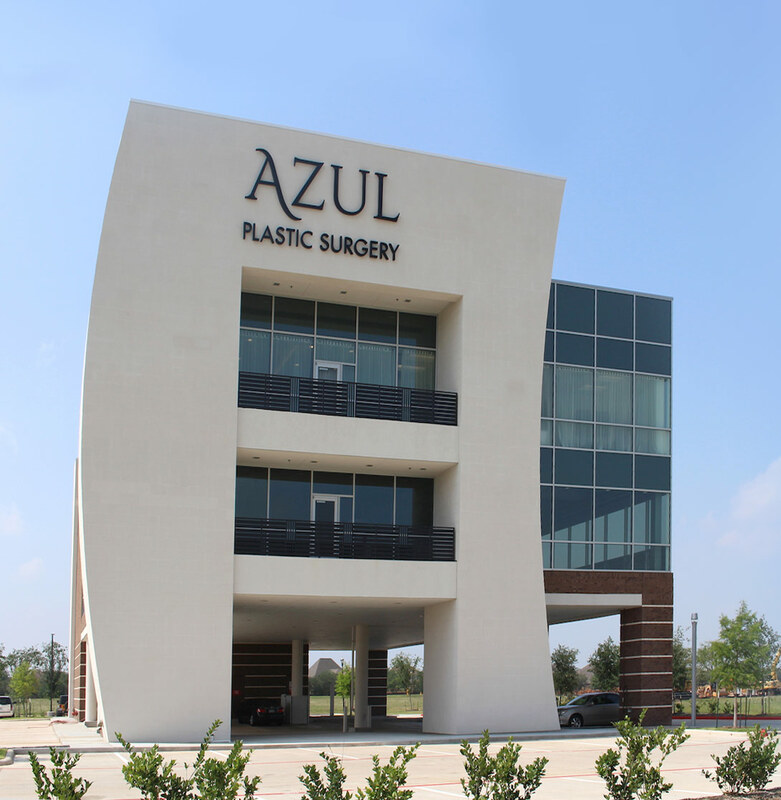 At Azul Plastic Surgery we are committed to helping you achieve the best possible outcome in your thigh lift surgery. Located in Sugar Land, we serve clients in Fort Bend County and throughout the greater Houston area. Request your personal consultation. Who is a candidate for Thigh Lift procedures? If you have experienced a loss of skin elasticity of the thigh, hip, or buttock areas. If your skin area is saggy, flabby, and/or dimpled or orange peel like in appearance. If your thigh appearance improves dramatically when you lift the lax skin. If you are self-consciousness about your lower body appearance. What is Thigh Lift surgery and recovery like? The procedure is performed under general anesthesia on an outpatient basis unless otherwise advised by the surgeon. The doctor will show you what procedures are available to solve your particular problem. Wide variations in the design of the incisions to meet clothing or personal desires are possible. Lifting the inner thighs requires only short incisions extending from the anterior part of the groin around to the buttock crease. Lateral or anterior thigh lifts can be performed as separate procedures if desired. Lifting the entire thigh and buttock (circumferential lower body lift) will require much longer incisions that start in the buttock crease, extend around the groin, up over the side of the abdomen, over the flank and across the back. The buttocks can be lifted with upper or lower scars. Larger thigh lifts: One or two nights care in a skilled nursing facility or hospital are usually required. This allows for pain injections, intravenous catheters, etc. Bruising and swelling usually subside within a month, strenuous activities are usually possible in 6 weeks and almost all symptoms are gone in 4-6 months. Additional procedures that may enhance the result are Liposuction or Tummy Tuck (Abdominoplasty). How much does a Thigh Lift cost in Houston? Because every patient’s concerns and desires are unique, we recommend that you schedule a complimentary consultation with Dr. Jaffer. At the time of your consultation, a treatment plan will be proposed. With those variables identified, it will then be possible to estimate the costs associated with your thigh lift procedure.